If you want the best work gloves, you need to look at those that are specially designed for heavy use. The finger and palm padding from most of the top rated models usually means that they are not well suited for detail work, but it protects your palms and fingers from splinters, sharp edges and other workplace hazards. Typically, work gloves don’t work so well for driving or on the firing range, but they will keep you safer, warmer, and cleaner whether in the garage or out on a construction site, even on a cool January morning. If you have trouble with your gloves slipping out of place, consider a pair of work gloves that have a Velcro wrist strap to hold them securely during heavy use. The Handyman Flex Grip Work Gloves will protect your hands during rough work, such as cleaning up yard debris, handling rock and concrete, or other labor-intensive activities that cause chafing or drying of the skin. The padding gives you an added zone of safety, but it, along with the reinforced finger pads, can also make it more difficult to “get a feel” for what you are doing. One of the nicer features is the Velcro wrist strap, which not only helps keep them snugly in place, it prevents chafing in key parts of the glove. If you live in a southern state, the padding in the Leathercraft 125M work gloves can be uncomfortable during the summer because of the way it retains body heat. If you only wear gloves occasionally, you will get your money’s worth out of them. The major complaint with Custom Leathercraft’s gloves is that they have a tendency to wear out slightly quicker than others under heavy use. The rubberized grip enhancements will wear off first, but working with lumber or stone will cause you to wear holes in the fingertips fairly quickly. Another thing you may not like is that the material is very absorbent, which can be a problem if you work with wet material. In the cooler months, soaking up moisture will chill your hands quickly, so it’s often suggested to wear latex gloves underneath your work gloves. That trick will work until the weather turns truly cold, and by then you will be wearing heavier gloves anyway. For many, these may be the best working gloves you ever own. The reinforced padding is thick enough to give your hands protection, but still thin enough to feel what you gripping. They are made of imitation leather, which is a fancy way of saying there is no leather used in them, but they breathe well and allow you to move your fingers freely when wearing them. The sizing is fairly accurate, so there is not an inch of empty glove hanging from the tips of your fingers. 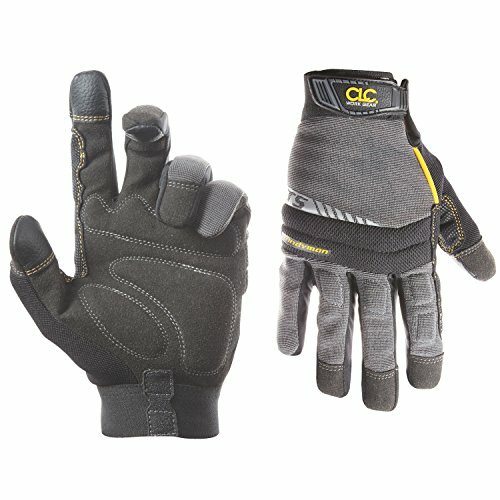 These gloves work equally well whether you have a framing hammer in hand, digging fence posts, or removing lugs with your impact gun. 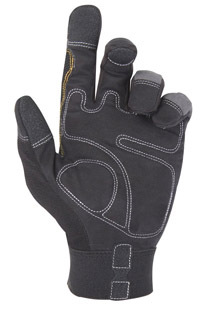 No work glove is designed for fine detail, including accurately firing a weapon, picking up screws, or threading wire into small openings, but these Original Coyote Gloves give you better tactile sensation than most competitors. 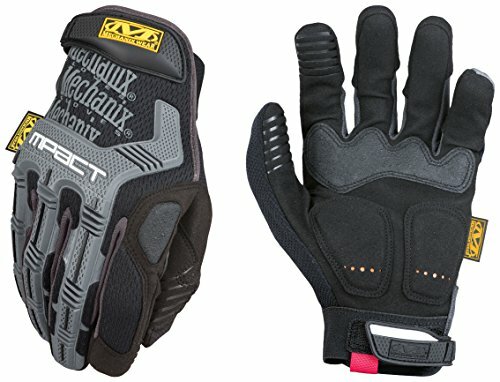 You will agree that they are one of the best work gloves for the money. Depending on why you are wearing M-Pact gloves, you will either love or hate the rubberized grips. They block out most tactile sensation, so gripping small and medium sized objects is going to rely more on your vision than your sense of touch. These glove are great for when you’re working with greasy or oily parts since they are a bit grippier than others. So when you’re using your ratchet to loosen the drain plug in your oil pan during an oil change or trying to swap out an alternator belt, these gloves are hard to beat. 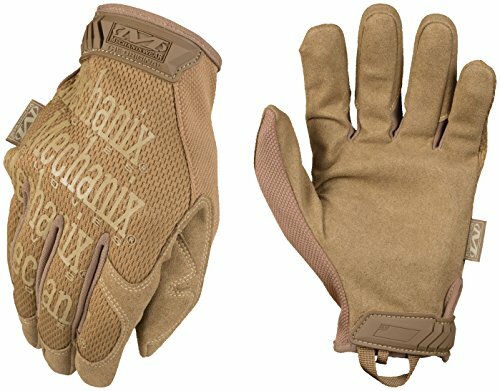 Mechanix Wear gloves are durable, though, and will give you more usage than most other gloves on the market without wearing off the rubberized grips or tearing holes in the fingertips. The finger and thumb lengths are more proportionately designed than you will get from cheap work gloves, and the Velcro wrist strap keep them in place on smaller hands or while working with material that snags or sticks. I don’t know. I just put on a cheap pair of disposable latex gloves before doing an oil change. Seems to do the trick. A box of 100 is like $15 on Amazon. I totally get it and used to do the same thing. The problem is that anytime you hit a sharp edge (which is pretty much everytime… other than changing oil), the latex glove tears and you spend more time getting a new one one. Latex has its uses but a pair of padded, heat resistant, good gripping gloves when working on your car makes things so much easier.